My taste buds have a mind of their own. And lemon is usually part of their brainwash. And olives, and capers and anything pickle-ish. We can save the “get pickled” jokes for the weekend. Making another appearance here on the blog, skinless and boneless chicken thighs are the centerpiece of this dish. Honey mustard flavored, kicked up Tabasco braised and slow cooker balsamic thighs of the fowl have all found their way to my dinner table. 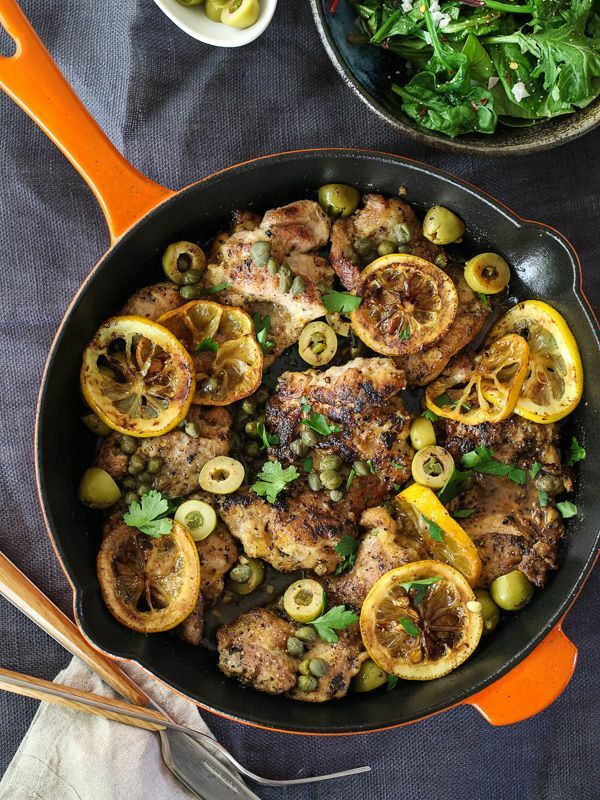 And I’m pretty sure this dish of Sautéed Chicken with Olives, Capers and Lemons won’t be the last thigh I’ll be sharing with you anytime soon.